Friendsgiving—a joyous event that brings all your nearest and dearest together for one memorable evening. It sounds delightful—until you are knee deep in preparations stressing out about what signature cocktail to serve or what your playlist should be. That is unless you are host par excellence Athena Calderone. The interior designer, home chef, and author of Cook Beautiful has a knack for making elaborate dinner parties seem effortless. Always graceful, she sways through the crowd of her A-list guests cracking jokes, ensuring that everyone has a drink in hand and is having a great time. You'd never guess all the preparations that went into making her flawless tablescapes by looking at how at ease she is once the evening kicks off. How does she do it? During a recent dinner party she threw with Chairish at Irene Neuwirth's boutique in Los Angeles for the launch of her new cookbook, we chatted with Calderone about her top tips on throwing a memorable Friendsgiving. As it turns out, we aren't the only ones in awe of her effortless yet elevated entertaining style. "I'm gaga for Athena's style," Anna Brockway, co-founder of Chairish, told us. 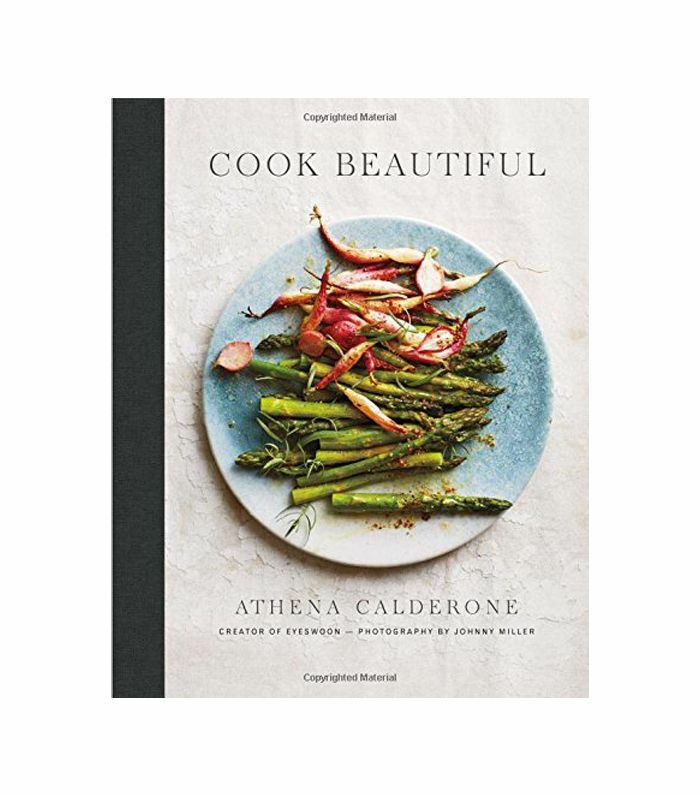 "So it seemed fitting that Chairish collaborate with Athena to celebrate Cook Beautiful. It was a great excuse to bring great friends together around a table to celebrate nourishing food, inspiring design, and rollicking company. It was the perfect kick-off to the holiday season." Need a few tips to host your own Friendsgiving this year? 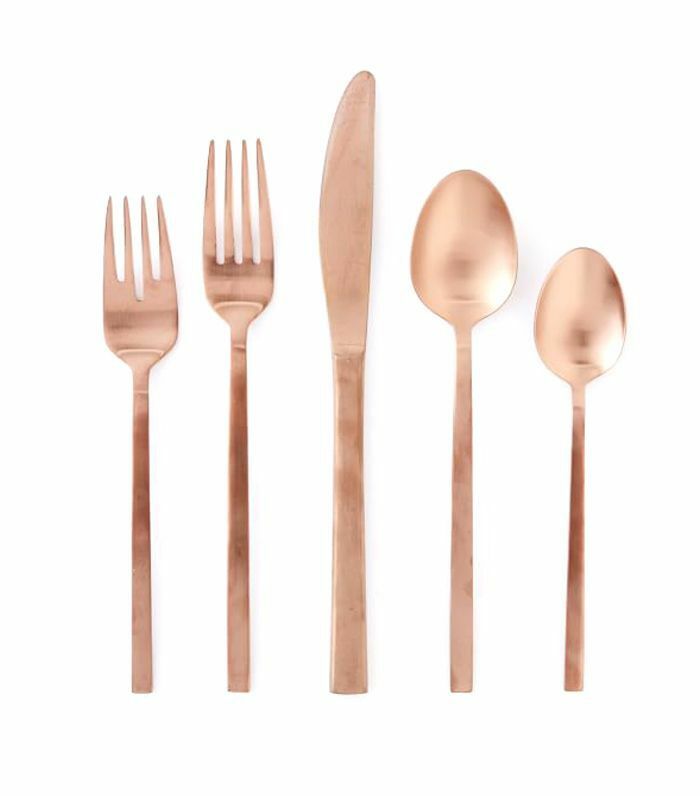 Take notes from Calderone, and instantly elevate your dinner party. No need to reinvent the wheel every time you throw a party—instead, get inspired by the space that you are hosting your dinner in. "Let your surroundings inspire you, stick to a controlled color palette, and keep it simple," says Calderone. "Here in Irene Neuwirth's beautiful boutique, I took notes from the blush pink sofa as well as the neutral wood tones and brass details. 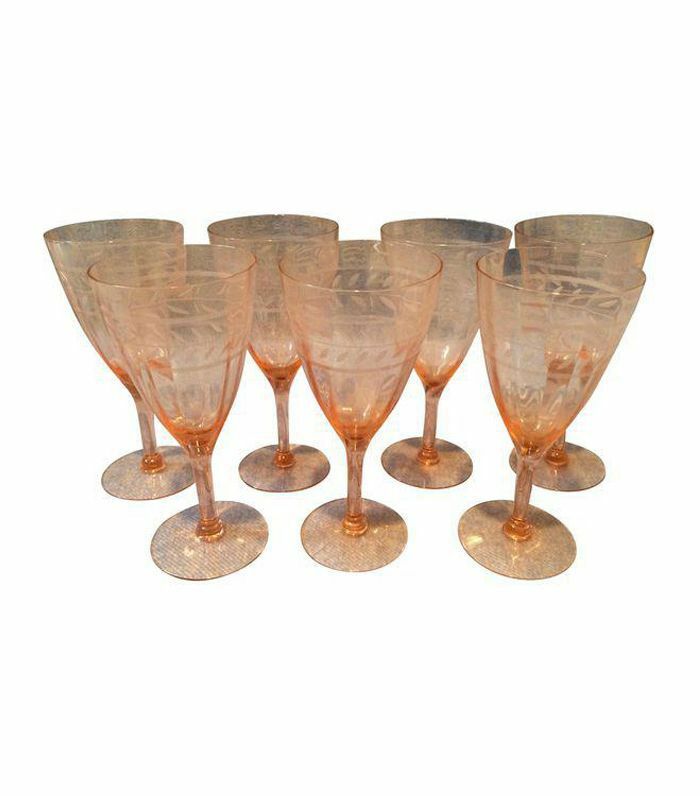 These elements directly influenced my choice of vintage pink glassware, neutral table linens, and gold flatware for the table." Calderone believes in seasonality in everything from florals to food—something that is prominent in every dinner party she throws. "Aside from taking cues from your immediate surroundings, look to the natural world as well," adds the host. "Let autumn inform the tonality for your flowers. And remember, beautiful does not need to mean elaborate. I always find that less is more. Don't have the budget for fanciful florals? Spring for inexpensive greens instead. A bunch of eucalypti is $12 and makes a leafy, sculptural statement when simply draped on the tablecloth." For her evening with Chairish, she called on the help of Moon Canyon Design to create a series of beautiful seasonal and wild arrangements to grace the long table. "Approach your event design holistically, taking elements from the menu and using them as dècor," says Calderone. "Pumpkins, kabocha squash, or even golden beets from your recipe can also adorn your tablescape. For the smaller touches, consider mini pears in deep, burnt tones, feathery wheat sprigs, or even fragrant herbs or cinnamon sticks. Simply placed on the table, these ingredients make an elegant impact while honoring the season." If you prepare your menu ahead of time, purchase a few extra ingredients to adorn your table. 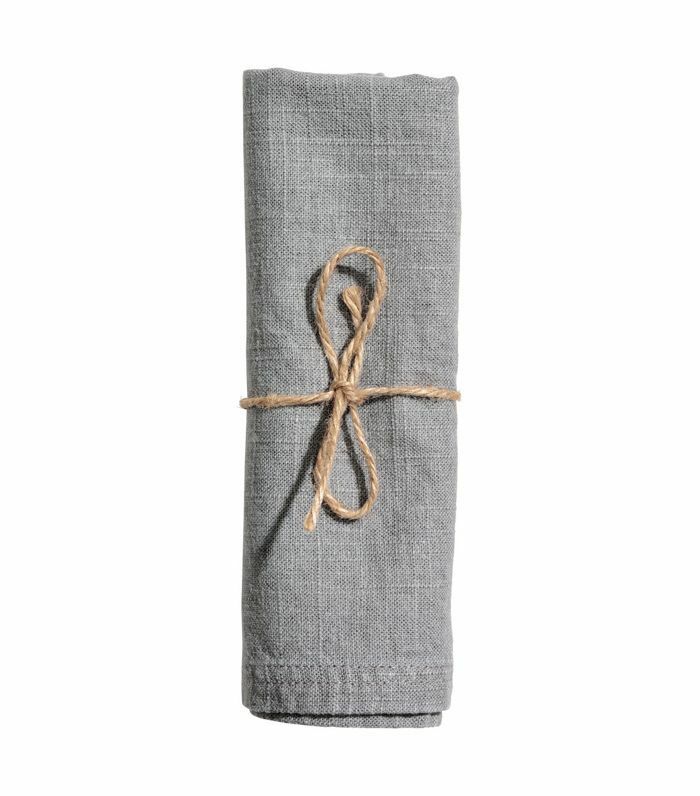 "A touch of the handmade is always appreciated in any table setting," she adds. "There are so many ways to incorporate custom, thoughtful details. Consider adding an artful watercolor design to your menu—it bleeds uniquely onto the page, making no two menus alike and ultimately foolproof. At the Cook Beautiful x Chairish dinner, I added a blushy pink watercolor element at the edge of the menu created by Anne Robin with her beautiful, painterly, and calligraphic touch." Adding something handmade to your table doesn't only make the space feel more personable, but it can be a cost-effective way to design your table as well. The number one rule for stress-free entertaining is to not have your hands full when guests have arrived, something that Calderone has understood all too well. "When designing the menu, embrace make-ahead meals," she says. "Here I created a beet and blood orange salad—all of the elements could be roasted, sliced, and prepared in advance. And the stewed pork dish was the smartest choice of all since any braised meat is even better made the night before when the flavors have time to meld. This way all I had to do when guests arrived was compose the dishes and add those finishing touches that made them beautiful. All your cooking should be done the day before. You want to be present and engaging, and you want to experience the joys of your gathering, not be a slave to the stove. Even my dessert of pots de crème was made the day before." To bring her Cook Beautiful recipes to life, the host called for the help of Blood Sweat & Butter to cater the event. In both your table and your décor, Calderone encourages to set the scene in an eclectic way and to not be too concerned about matching everything. 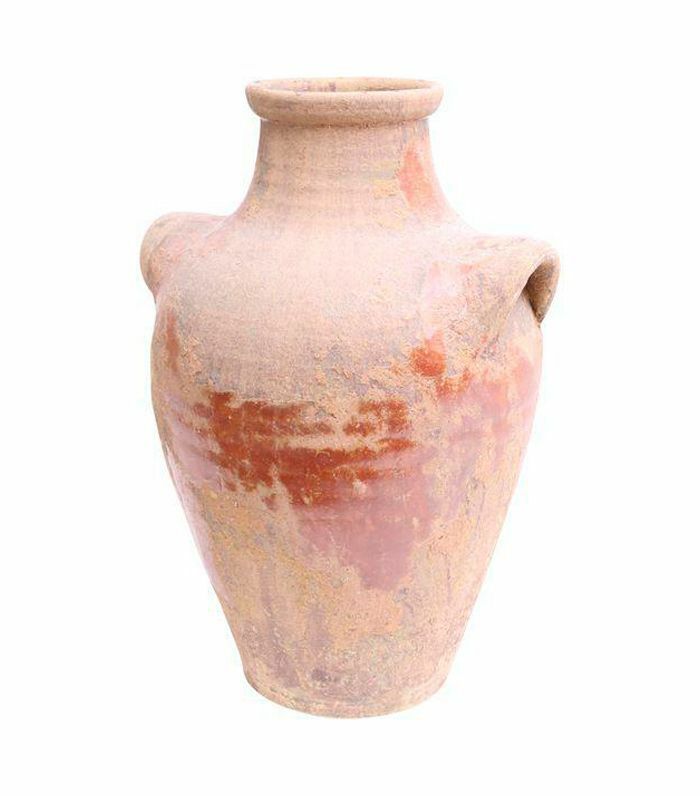 "Mixed metals and mixed ceramics? Yes! Vintage glassware? Absolutely! 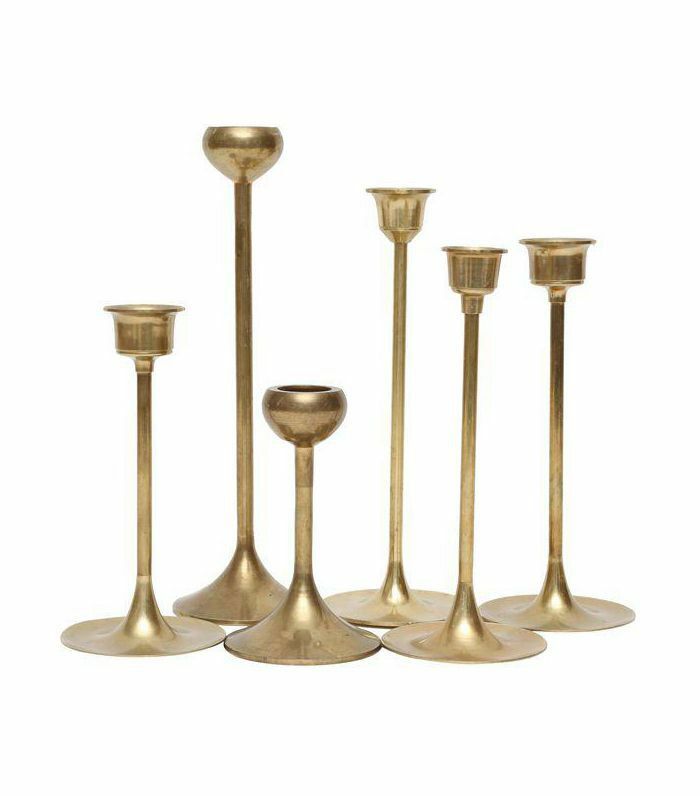 Copper, brass, and silver can, in fact, play nice," says the host. "For added juxtaposition, incorporate varied glassware, vintage pieces, and plenty of texture and patina. Who wants a prim and perfect table anyway? Perfectly imperfect is a motto I live and design by." Calderone pulls out all the stops to make guests feel at ease at any dinner party—from welcoming them with a boozy signature cocktail to engaging them before the dinner to be part of the conversation. "I love to offer guests a signature cocktail," she says. "Taking a cue from the season, we created a Casa Dragones tequila cocktail, aptly named Beautiful Dragon, swirling with autumn abundant pear, pear liquor, and warming notes from cinnamon spice." Asking guests to brainstorm before the evening is another way to get the conversation flowing from the get-go, especially when your guest list is eclectic. "Ask every guest to email you their favorite quote about gratitude," she suggests. "Then print out these words of wisdom, and place one sentiment upon each dinner plate. When everyone gathers to sit, have each person read the quote they received aloud. These heartfelt expressions inspire a meaningful conversation about gratitude." Ending the evening on a positive note is as important as kicking it off well, according to Calderone—and party favors do just the trick. "If you have a signature dessert that's always a hit, print the recipe for guests to take with them. Or if you like to make candied nuts or brittle this time of year, send friends home with a little brown paper goodie bag filled with the sweet treats. Guests always appreciate a thoughtful takeaway." Click through to see more of the stylish soirée and to find out who attended the Los Angeles dinner party. 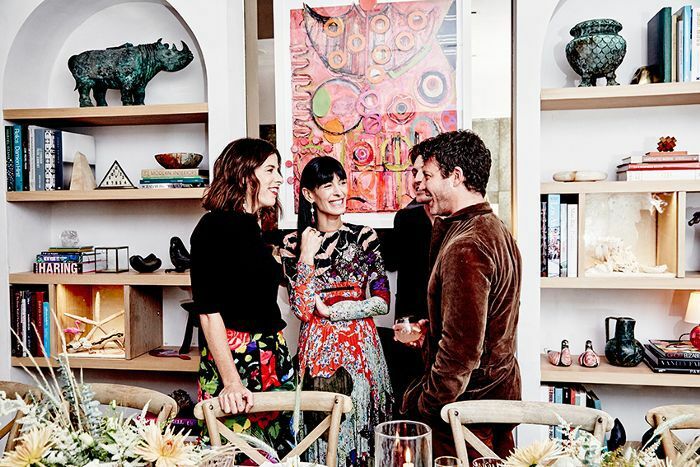 Calderone, surrounded by dear friends and interior designers Jeremiah Brent and Nate Berkus, kicked off the soirée in style. Calderone and her co-host, Anna Brockway, co-founder of Chairish, set the tone for an elevated evening. Sacha Strebe, editorial director of MyDomaine, is all smiles as she interacts with guests. Busy Philipps was perfectly color-coordinated with the décor in a bright red dress as she chats with Neuwirth. Garance Doré poses with Calderone next to an impressive brass palm tree lamp. Brent and Calderone show off their best model-worthy poses on Neuwirth's pink velvet sofa. Calderone looking glowing as she exits the party.